This entry was posted in Vacuum Tubes and tagged 12at7/ECC81 by tubemaze. Bookmark the permalink. 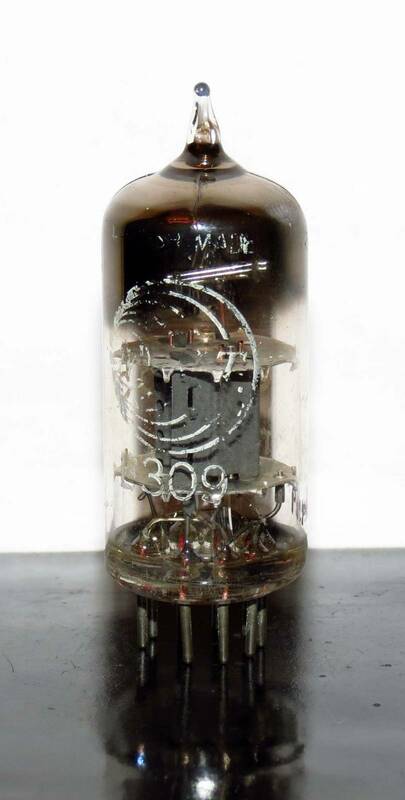 A fantastic sounding tube that’s almost impossible to find. This one was was created by Mullard’s Mitcham factory in 1958. It has regular Mullard’s plates with 3 holes, I guess they tried this configuration on their military tubes before using them in civilian tubes later on. Getter is unlike any other that I’ve seen, it’s a D getter, but it’s bent up at the end. Sound wise, this tube is superbly smooth – really stands out of the other 12at7 tubes. Marking B309 was used by Mullard and other british manufacturers to indicate a special quality tube, and special it is. Fantastic tube and I would recommend it, but what’s the point if it’s not possible to find.